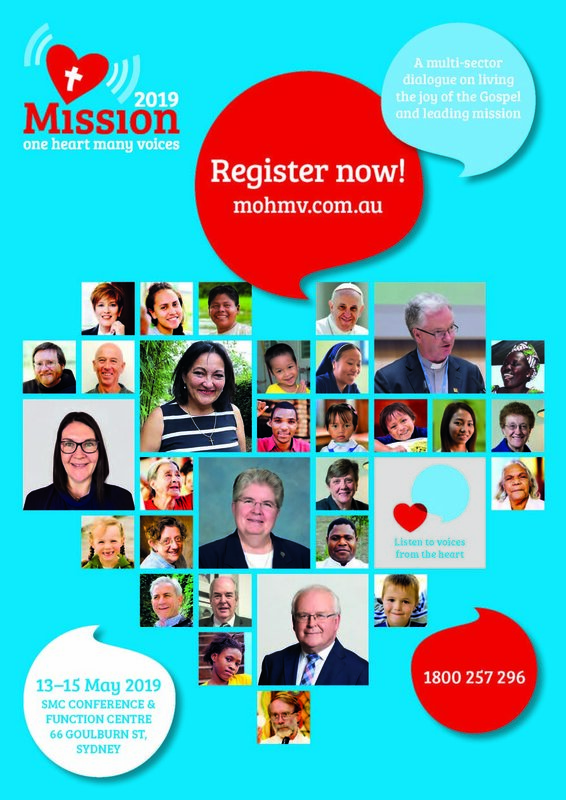 Mission: One Heart Many Voices 2019 Conference will celebrate and identify the graces, the inspiration and the challenges of living the joy of the Gospel and leading mission in Australia and globally. This conference will focus on themes of radical inclusion, encounter and dialogue. It will challenge you to consider contemporary Mission in the light of Popes Francis’ teaching, witness and leadership. Download the brochure here or click on the image below.